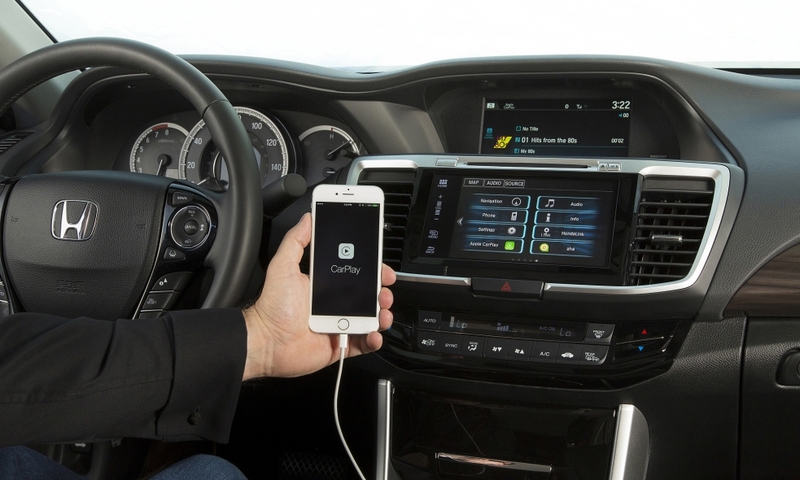 Honda's 2016 Accord lineup allows smartphone users to plug their phones into the car using a USB cord, and to access some of the phone's apps through a new seven-inch touch screen in the dashboard. 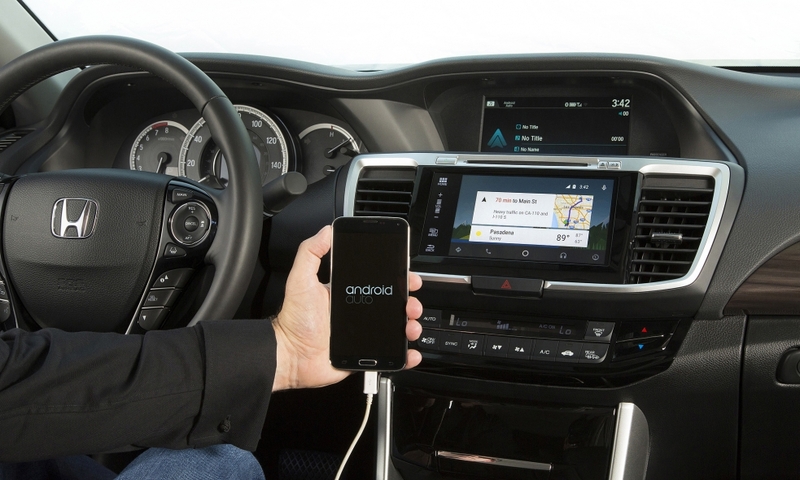 With a second display screen above it, users can access two functions at once, such as the phone's navigation system and the car's music system. 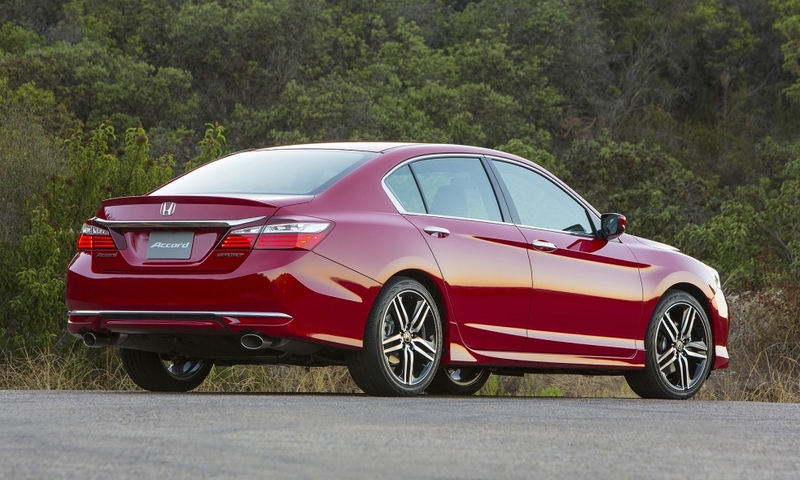 Honda unveiled a midlife update for its midsize Accord in Silicon Valley on Thursday, a lightly freshened model that will play nice with both Apple CarPlay and Android Auto. 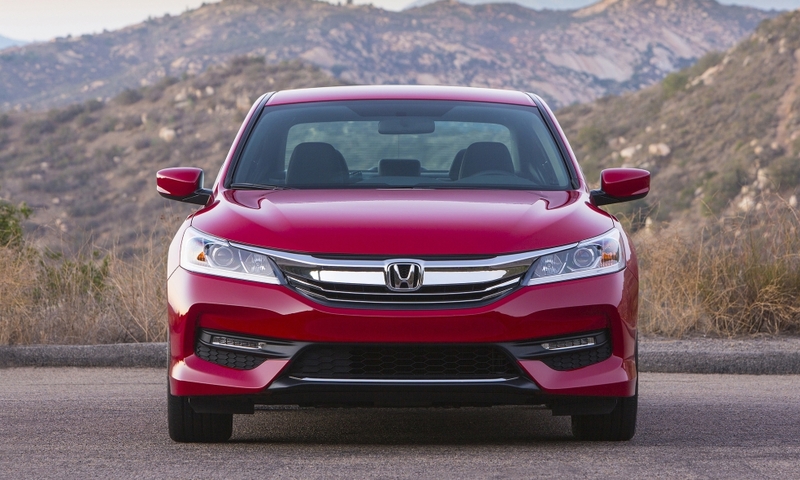 The 2016 Accord sedan and coupe will also offer Honda Sensing, an optional suite of autonomous safety features that it has introduced on the CR-V and Pilot crossovers. 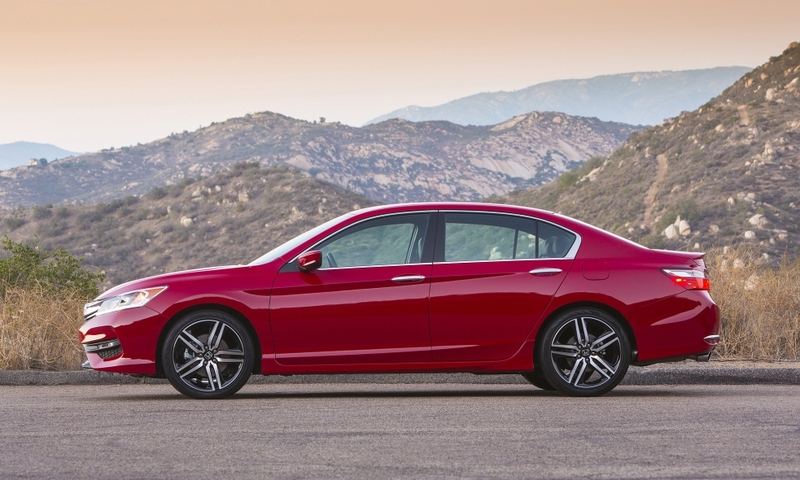 "Where else to introduce the most technologically advanced midsize sedan, the 2016 Accord, than in Silicon Valley,” John Mendel, executive vice president of American Honda Motor Co.’s Automobiles Division, said in a statement. 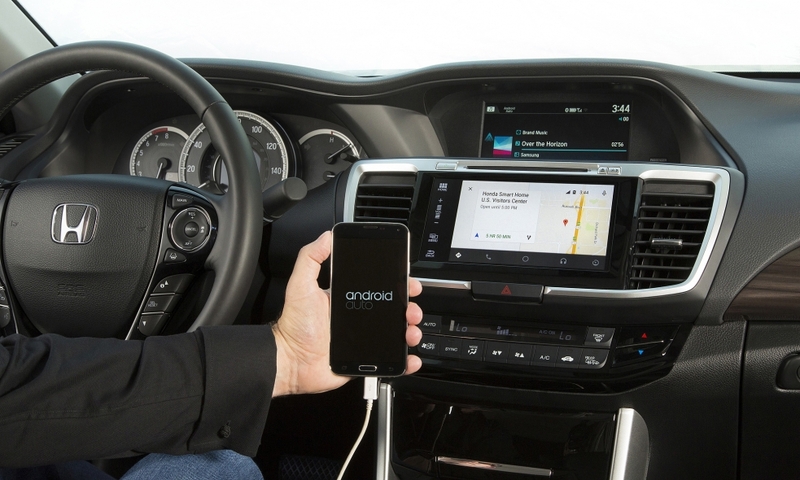 “Customers want their vehicles to be more intelligently integrated with their smartphone-powered lives, and we are committed to delivering that experience." 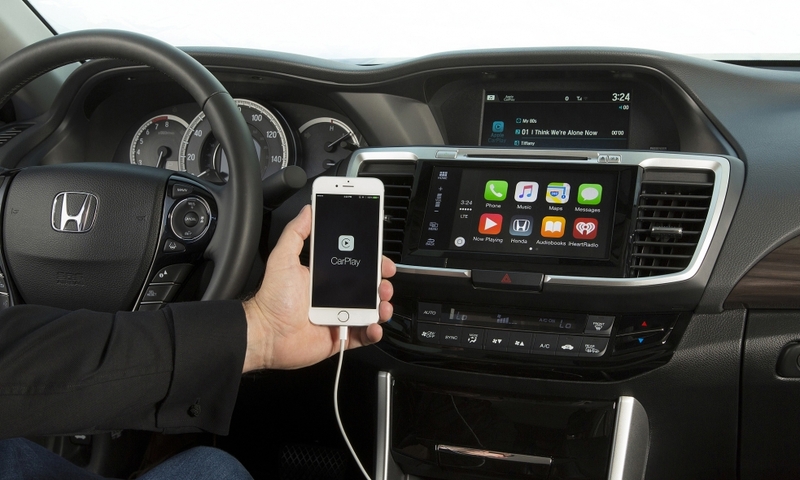 When the 2016 Accords go on sale in August, they'll be among of the first on the market to offer in-car integration of both Apple CarPlay and Android Auto. 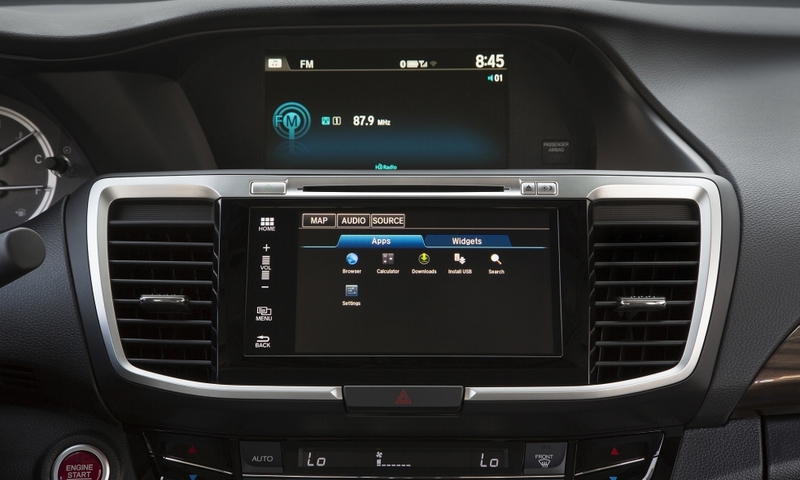 The systems, available on EX, EX-L and Touring models, allows users to access many of their smartphone's features and apps through a new 7-inch touchscreen in the car's dashboard. 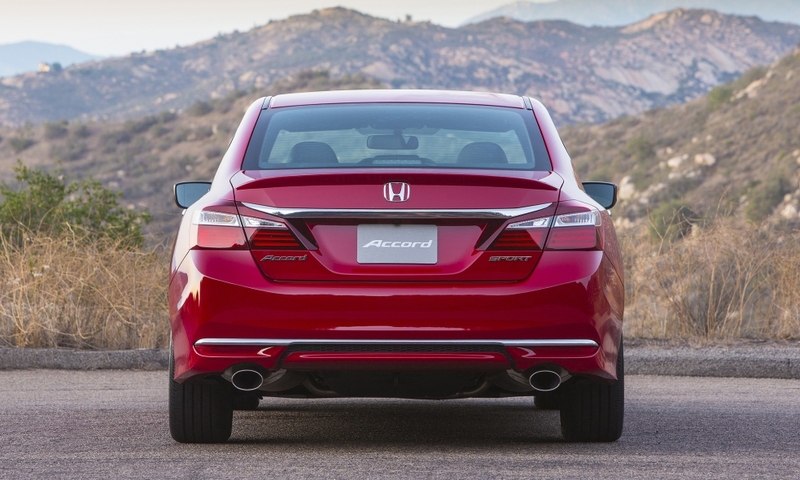 All versions of the updated Accord will offer Honda Sensing as an optional safety package (except the top-end Touring model, in which it's standard). 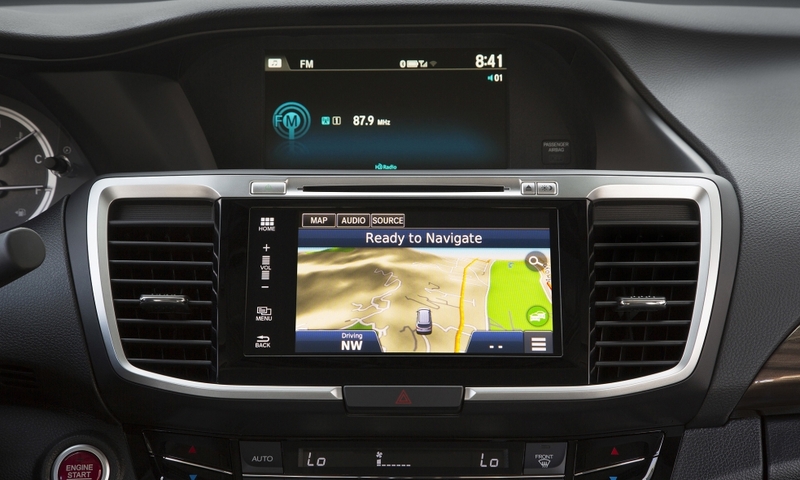 This system includes pre-collision braking, lane-keeping assist, adaptive cruise control and lane-departure warning. Honda hasn't announced pricing on this upgrade yet; a similar package in the Pilot crossover costs $1,000. 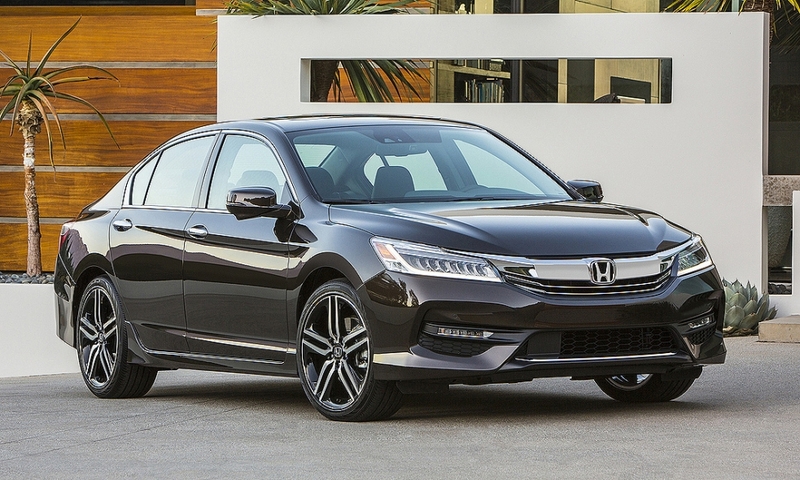 The 2016 Accords get minor cosmetic changes to the exterior. 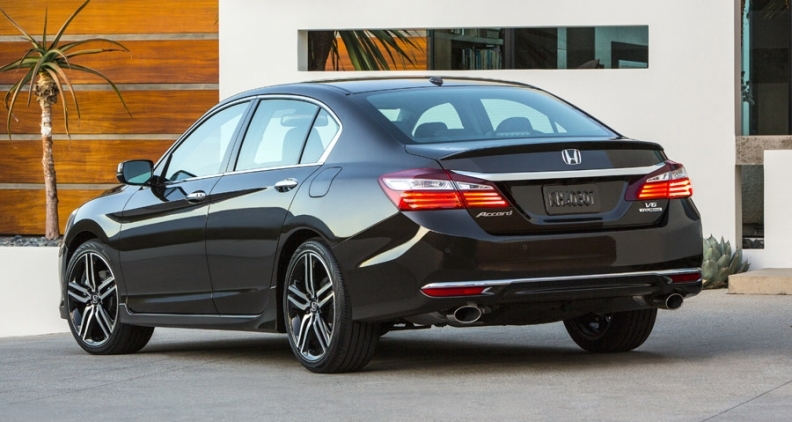 The front and rear bumpers have been refined, there's a new grille and wheels and LED tail lights and an aluminum hood are now standard on all models. 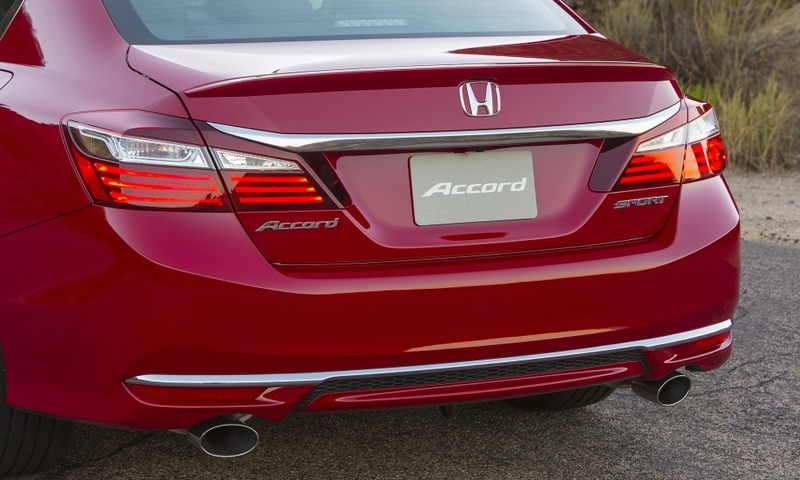 The Accord's powertrains remain unchanged. 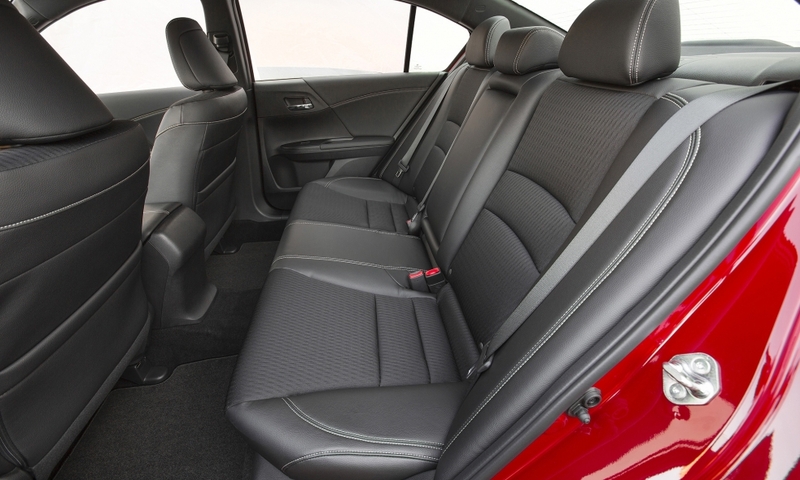 Base models will use a direct-injected 2.4-liter inline four-cylinder and either a six-speed manual transmission or CVT. 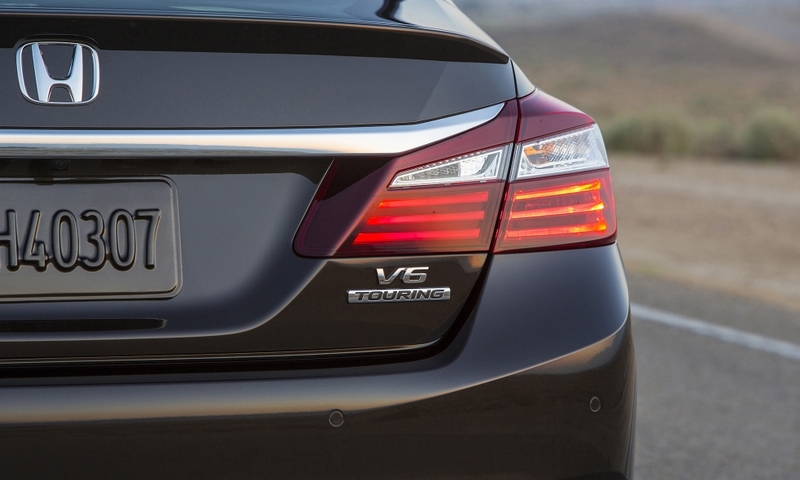 The optional 3.5-liter V-6 also carries over, and is paired with either a six-speed manual or six-speed automatic transmission. 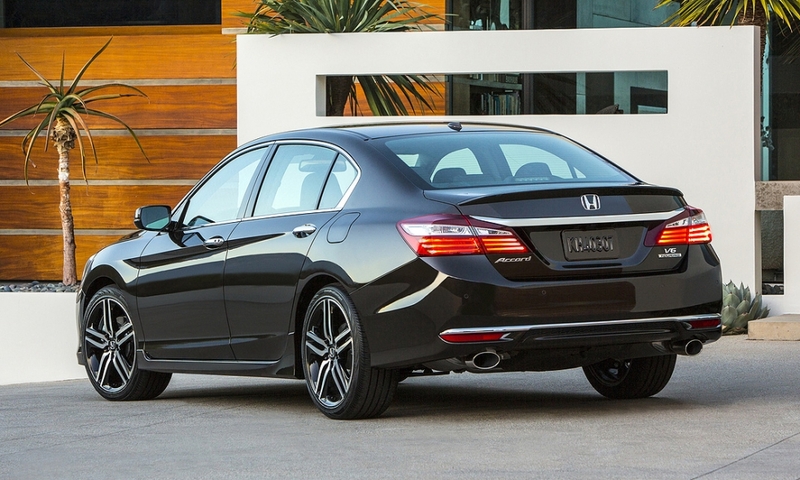 Honda will announce details on power and fuel economy on Aug. 10, though they will change very little from the 2015 version. 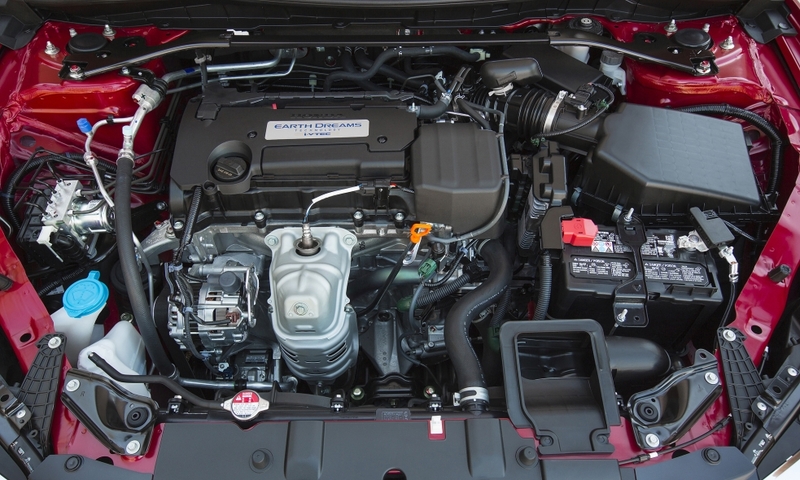 That car has 185 hp and an EPA rating of 27/36/31 mpg in four-cylinder trim, while the V-6 has 278 hp and a 21/34/26 mpg rating by the EPA. 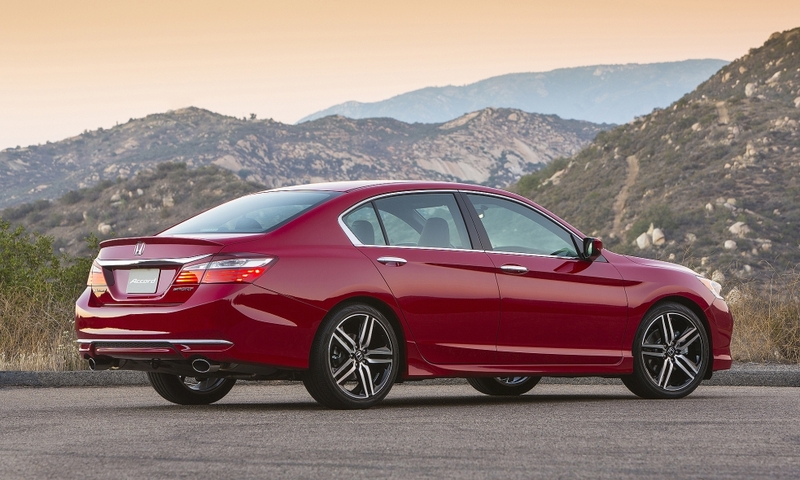 Honda hasn’t announced pricing for the 2016 iteration, but it won’t change much from the 2015 Accord. 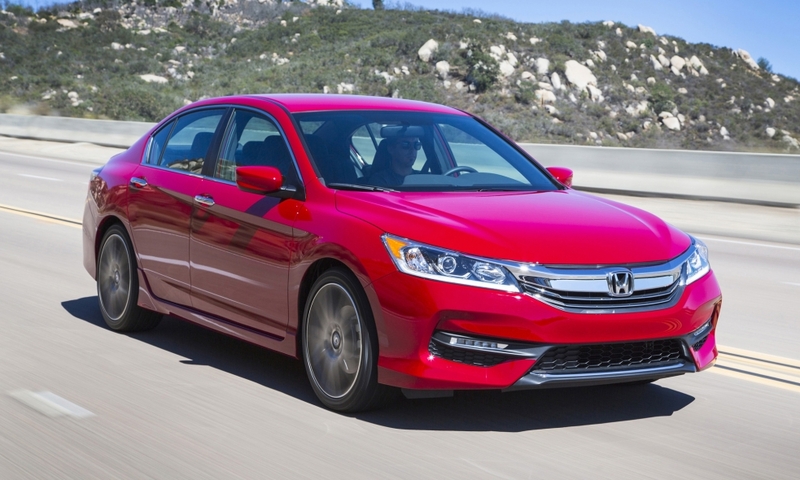 That current model is priced from $22,925 to $34,450, including destination. 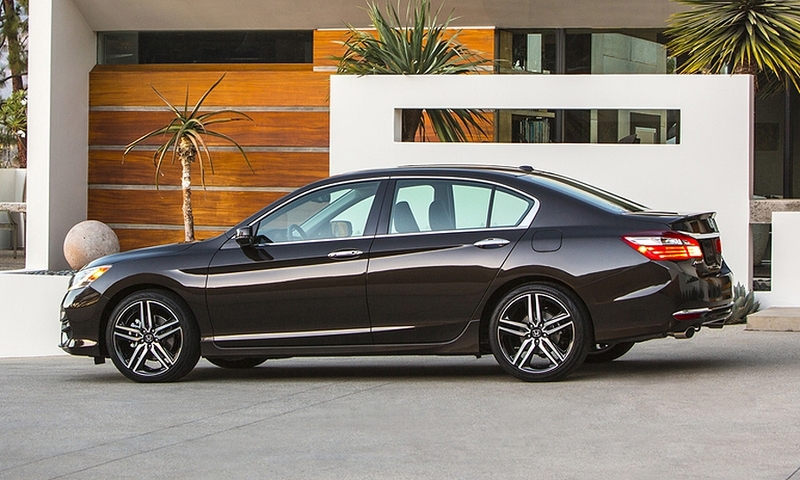 The Accord is a staple of Honda's lineup and the company is counting on the updated model to juice sales after a bumpy 2015. 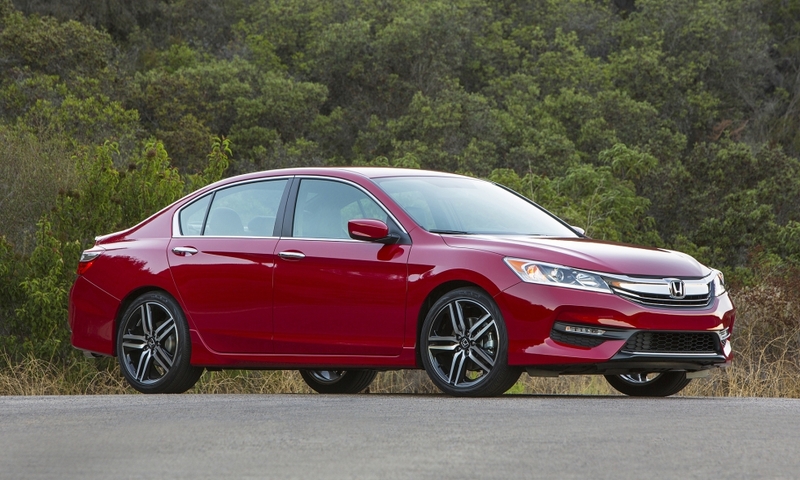 With low gas prices eroding car sales and an Accord sell-down in 2014 due to oversupply, U.S. sales of the midsize sedan and coupe dropped 16 percent in the first half of this year versus the first six months of 2014.